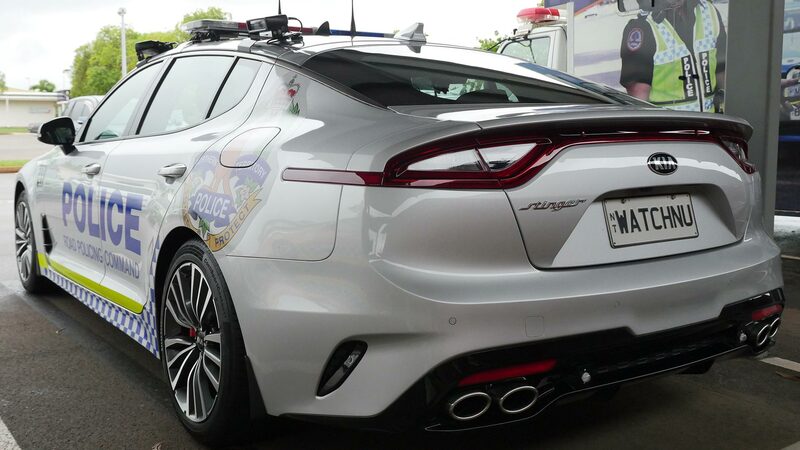 The Northern Territory Police has become the latest Australian force to recruit the Kia Stinger for roads policing, after a successful trial. Following Queensland and Western Australian, the Northern Territory will see a fleet of seven new Stingers rolled out to replace ageing Holden Commodore SS models. With a twin-turbocharged V6 engine, the rear-wheel drive Stinger packs 272kW (365hp) of power and comes fitted with an eight-speed automatic transmission. 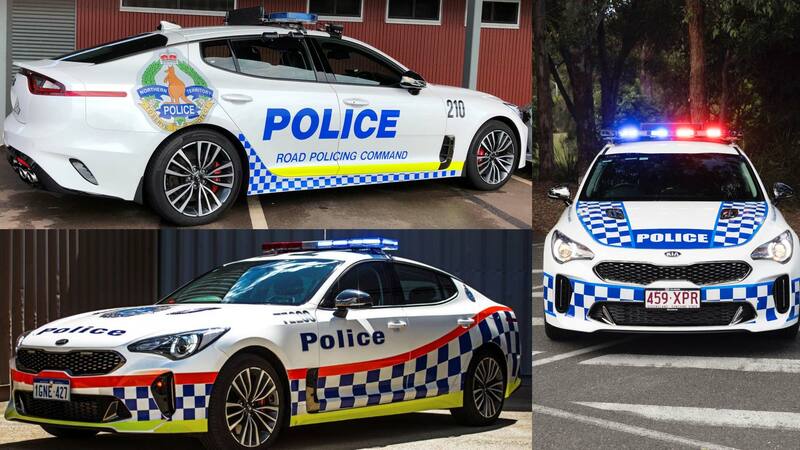 The Northern Territory Police are also using the launch of the new car to update the liveries applied to their vehicles. Officers from the Road Policing Command were asked for their suggestions, and were able to pick their favourite design idea. Traffic enforcement in the Top End is a demanding subject, with 50 people losing their lives on the roads of the Territory during 2018. Launching the Stinger is set to play a key part in reminding drivers of the need for road safety. The Easter break is also set to see an emphasis from the Northern Territory Police on speed, alcohol, driver distraction and seatbelts, with an additional focus on rural roads. Before 2007, many rural areas of the Northern Territory had no blanket speed limit at all. A limit of 130km/h (81mph) was introduced on major highways, with other roads capped at 110km/h (68mph). Between 2014 and 2016, substantial stretches of the Stuart Highway again saw the removal of speed restrictions, with drivers free to pick their own maximum. A change of government saw the reintroduction of the 130km/h (81mph) maximum, although car manufacturers are able to apply for exemptions to undertake high-speed testing. 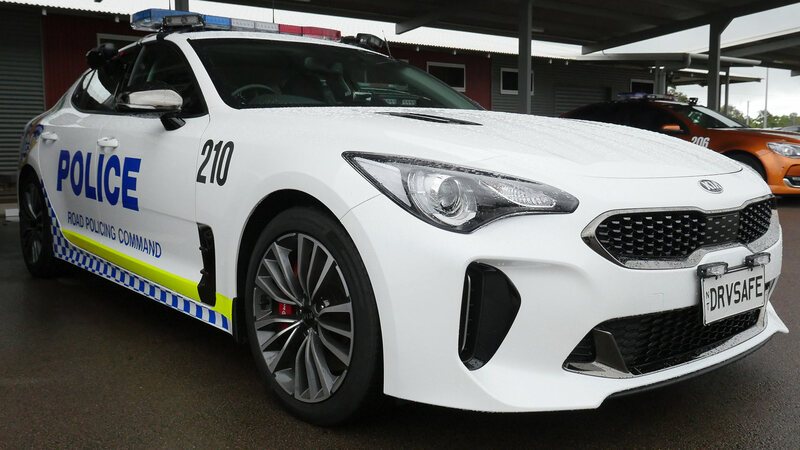 With a top speed of 270km/h (168mph), Territorians can be sure that the new Stinger will more than fast enough for the role of policing the highways.